Little Boy – one of the greatest tragedies of recent human history hides behind the childish, innocent-sounding name. The atom bomb that was dropped by the American military on the Japanese city of Hiroshima on the 6th August 1945, instantly costing thousands of people their lives, was called Little Boy. 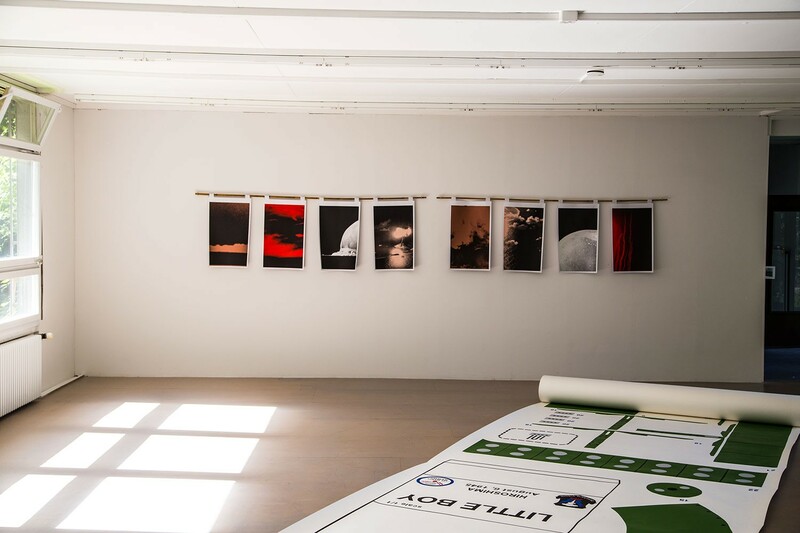 Sebastian Utzni also calls the work he presents at o.T. Raum LITTLE BOY. 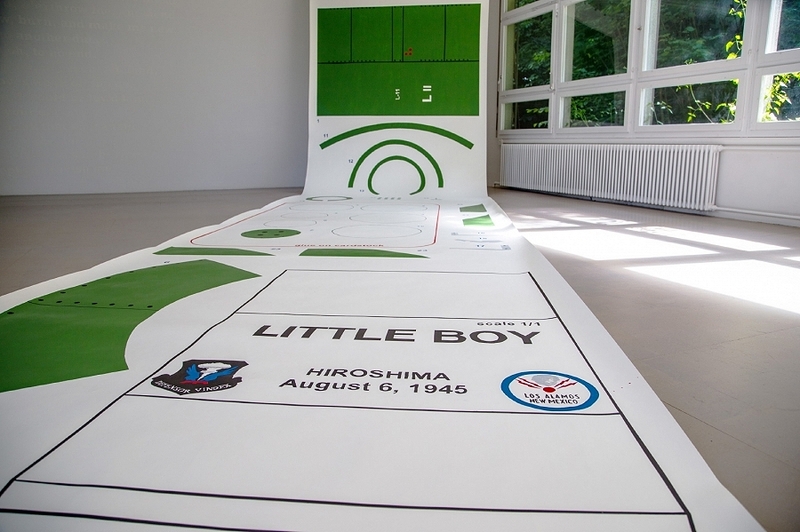 At the centre is an activity sheet relating to that same atom bomb, using which the bomb can be reconstructed life size. A cut-out sheet that reminds us of our childhood, behind which hides something horrific. Utzni’s cut-out is of course not supposed to be realised, but is it not alarming that, in today’s Internet era, do-it-yourself instructions for nearly everything can be found online? 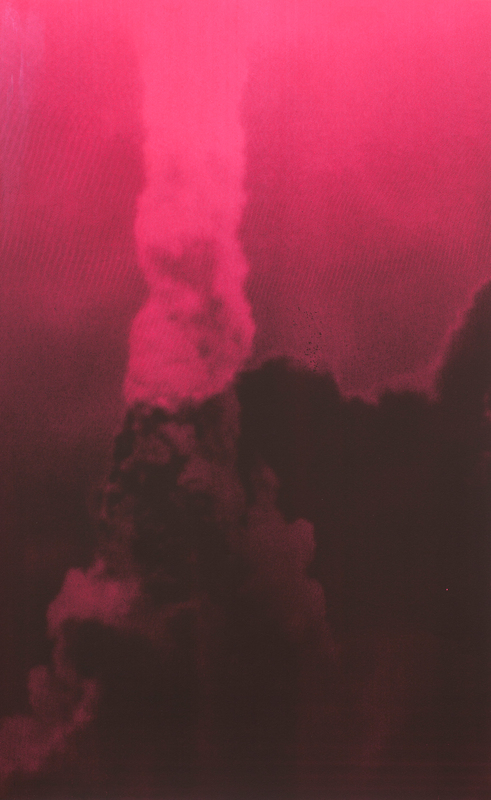 Something inauspicious also hides in the series of attractive silkscreen prints, which sound a clear note with their bright colours: the abstract images are nothing less than details of photographs of so-called atomic mushrooms. They are recordings from the Trinity Test, the test for the Hiroshima Bomb. Enlarged multiple times and robbed of their direct field of reference, they emit a new, highly aesthetic sheen. Opposite these explosions of colour is another text, which can only be read when examined closely. It is a poem by British poet John Donne (1572-1631) which served as the inspiration for the code name of the first atomic weapon test, the aforementioned Trinity Test in the American desert. 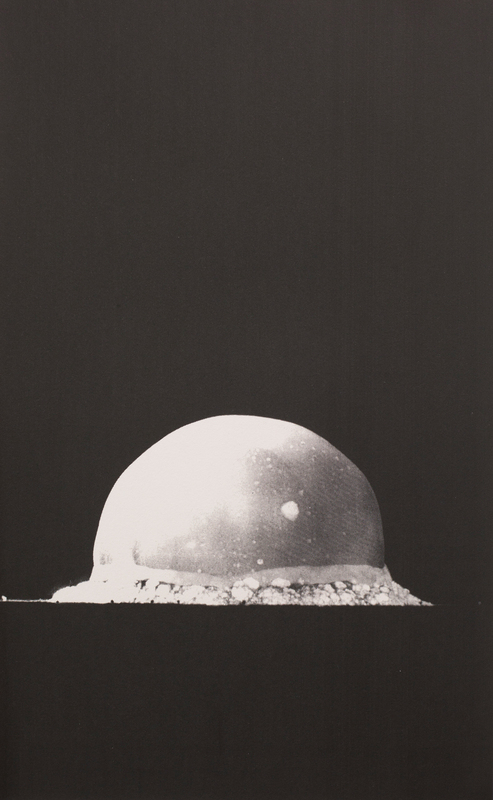 The poem’s verses are already powerful in their original, religious context; since their association with atomic testing they now evoke a further, rather shocking reading. The paint medium Utzni used to apply the lines is also meaningful: white lead, a poisonous, outmoded pigment, yet nonetheless lead is a means of protection against radioactivity. Slowly the picture Sebastian Utzni is composing comes together. Like a kind of mind-map the different elements of the work LITTLE BOY are linked to each other. For his artistic work Utzni employs significant amounts of research and investigation (in the form of physical experiments, among other things) in a scientific manner; he is interested in broad connections. 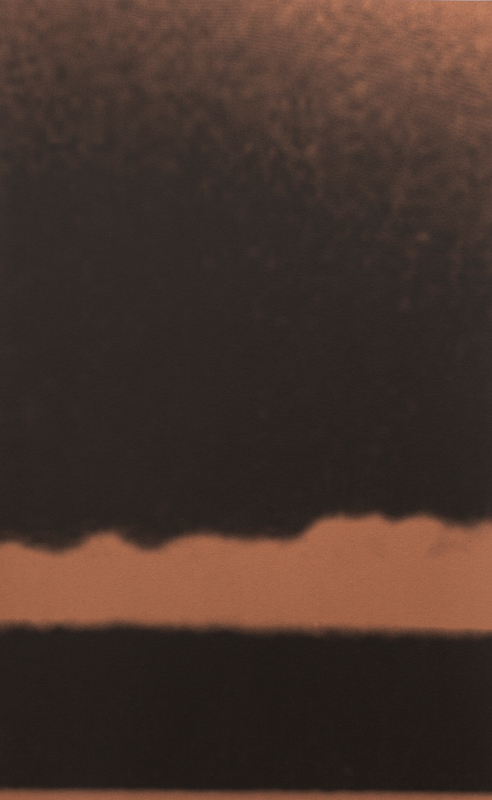 When the viewer has recognised the subject of the activity sheet, the series of silkscreen prints or the lines of poetry then the vitrine – which they may have observed only briefly and with some curiosity at the beginning of the exhibition – makes sense too. An article in an American magazine tries to convince the world that no long-term negative effects are to be feared from radioactive rays. A female model wears earrings made from atomic testing leftovers – and seems nonetheless to enjoy rude health. Today we would file this article under ‘fake news’. Does it not somehow seem familiar? ‘Fake news’ is, after all, the buzzword these days. Now at the latest it becomes clear that Utzni is not merely telling us about the past; his work is shockingly current.